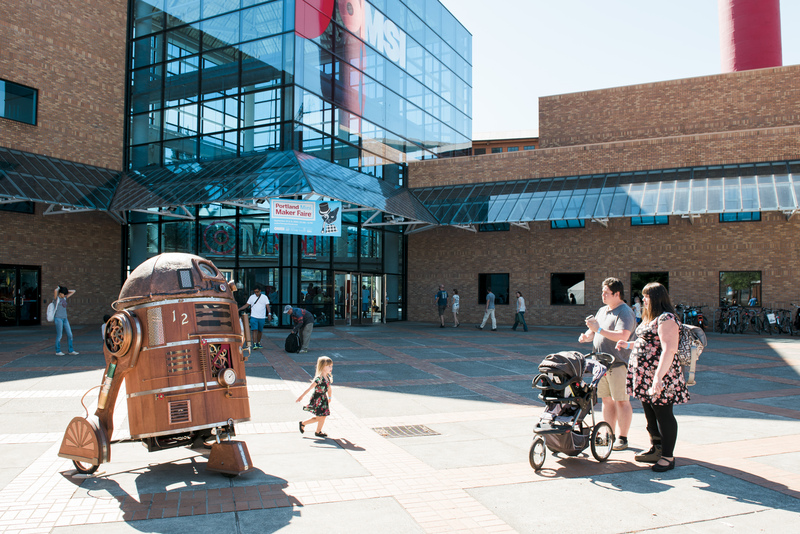 In what has become a Portland tradition, the Oregon Museum of Science and Industry (OMSI) will present the sixth annual Portland Mini Maker Faire, a family-friendly showcase of creativity and cool DIY technology taking place on Saturday and Sunday, Sept. 16 and 17, from 9:30 a.m. to 5:30 p.m. The return of Walking Beast, a giant walking “spider” (and festival favorite!) that took more than 6,000 hours for its Maker to develop. Maker Chris Malone displaying his soapbox derby cars, Steampunked R2-D2 and WALL-E the robot, scaled-up versions of the original characters strong enough to be ridden down Mt. Tabor in the annual PDX Adult Soapbox Derby. More than 150 Makers, including returning favorites such as da Vinci Days, 3D printing and much more. 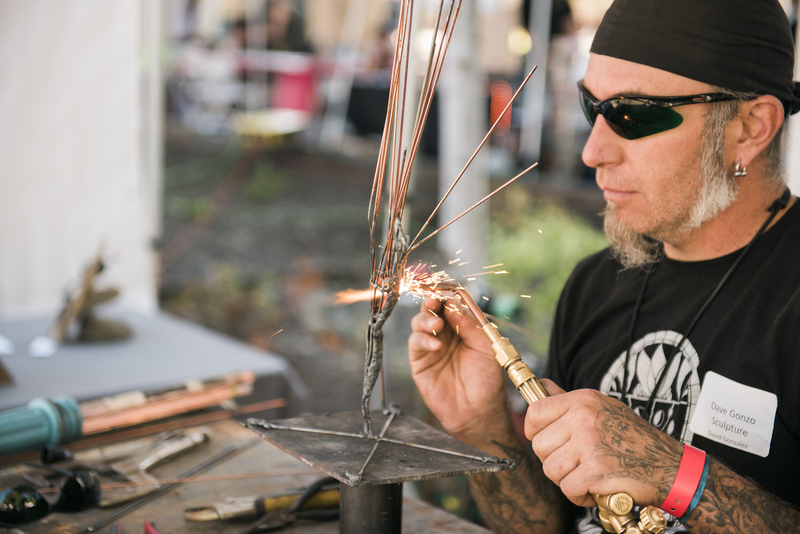 Hands-on activities are among the most sought-after favorites at the Maker Faire each year, augmented by a rich menu of exhibits, talks, demonstrations and performances that bridge arts, crafts, science and engineering. The Portland Mini Maker Faire is presented by OMSI and Intel, supported by Autodesk, Leatherman, Qorvo, OSH Park, Rockwell Collins, CUI Inc, and K12, and is in partnership with Make: Magazine. It celebrates the Maker movement and brings together Makers of all fields with the goal of supporting grassroots innovation in the community. Makers of all ages and backgrounds range from tech enthusiasts to crafters, educators, tinkerers, hobbyists, engineers, artists, science clubs, students, authors, homesteaders, garage tinkerers and even commercial exhibitors. Maker Faire’s mission is to entertain, inform, connect and inspire these Makers and aspiring Makers. OMSI invited anyone who embraces the do-it-yourself (or do-it-together) spirit and aspires to share their accomplishments with an appreciative audience. The Portland Mini Maker Faire’s 150+ exhibitors will run the gamut from low-tech, like the art of bookbinding and DIY sustainable art, to high tech with demonstrations of 3D printers and virtual reality. 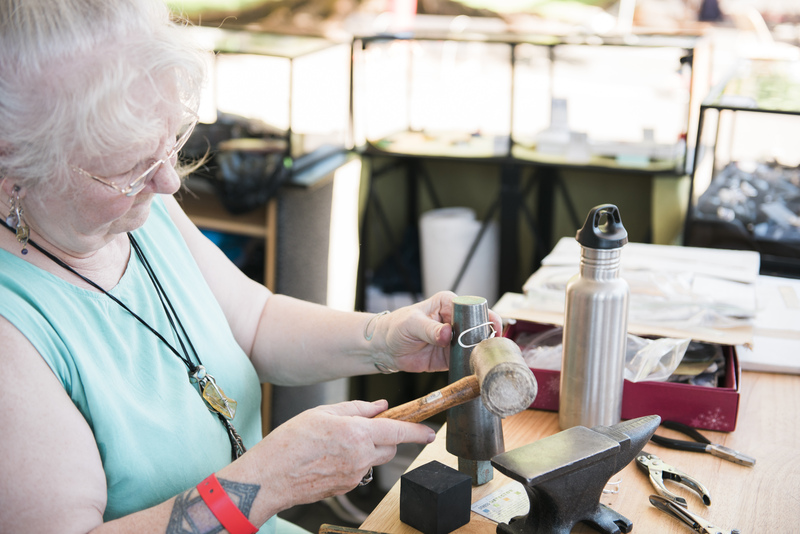 You truly can find anything at Maker Faire – from the “Swashbucklers of Stumptown” offering lessons in swordplay and interactive pirate gaming, to an exhibit featuring locks and watches from the 13th century to the 21st. 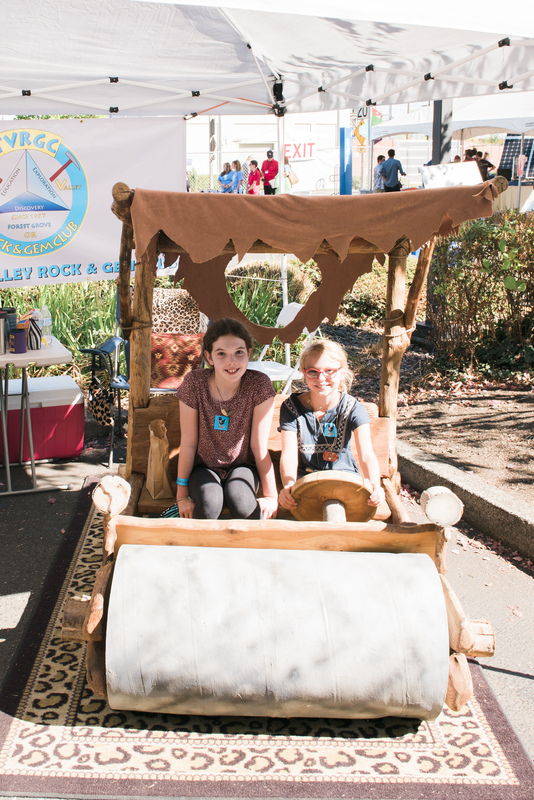 Visitors can build small hovercrafts made from old DVDs, foam boards and other material, powered by batteries, rubber bands or balloons; or add to the “biggest friendship bracelet in the world,” started at the 2014 Portland Mini Maker Faire. “Intel is an enthusiastic supporter of the maker community and maker mindset. We support tomorrow’s makers through education and community outreach programs such as Maker Share and are proud once again to help bring the Mini Maker Faire to Portland,” said Courtney Martin, Oregon Public Affairs Director at Intel. Oregon Potters Association will offer the chance to make “peace poles,” which will be presented as gifts to Portland’s sister city, Sapporo, Japan. 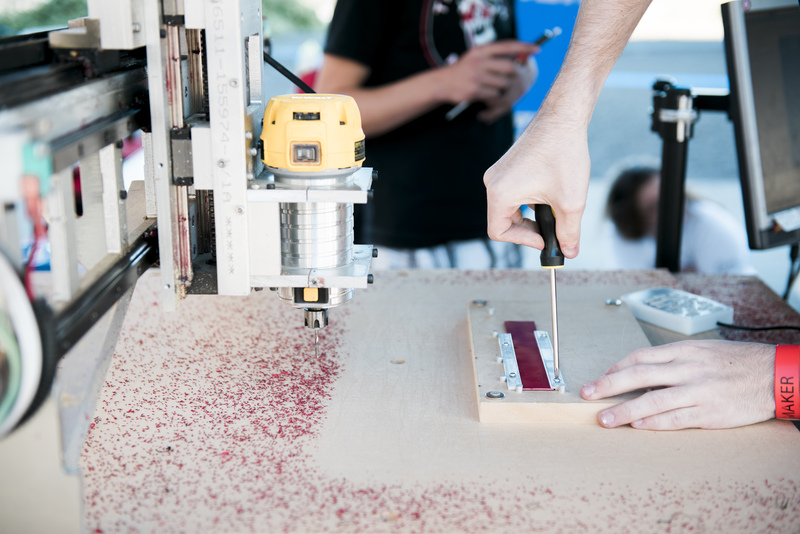 Intel Makers, employees who have a personal passion for maker projects, will be showcasing their creative innovations. Their booth will feature a variety of activities and demonstrations designed to inspire and empower young makers – from creating LED bracelets and printing 3D robots to experiencing interactive displays of LEGO sculptures and wearable technology. CymaSpace/Audiolux Devices will have an interactive booth that showcases the art, science and technology behind “cymatics,” the study of sound made visible, where attendees can try their hand at transforming sound into light. The R2-D2 Builders Club provides realistic replicas of astromech droids from the Star Wars films that are often used by Lucasfilms for official events, movie premieres, commercials and red carpet appearances. Regular admission: $16 adults | $10 youth (3-13) and seniors (63+). Maker Faire + Pompeii: $28 adults | $19 youth (3-13) and $23 seniors (63+). OMSI members receive 50% off all tickets. A food cart pod will be serving up local food and flavor, with Ninkasi beer, Union Wine Co. wine, and Wandering Aengus hard cider available at the bar. OMSI’s restaurant, Theory, will also be open with wood-fire pizza, salads, sandwiches, and What’s the Scoop? ice cream. 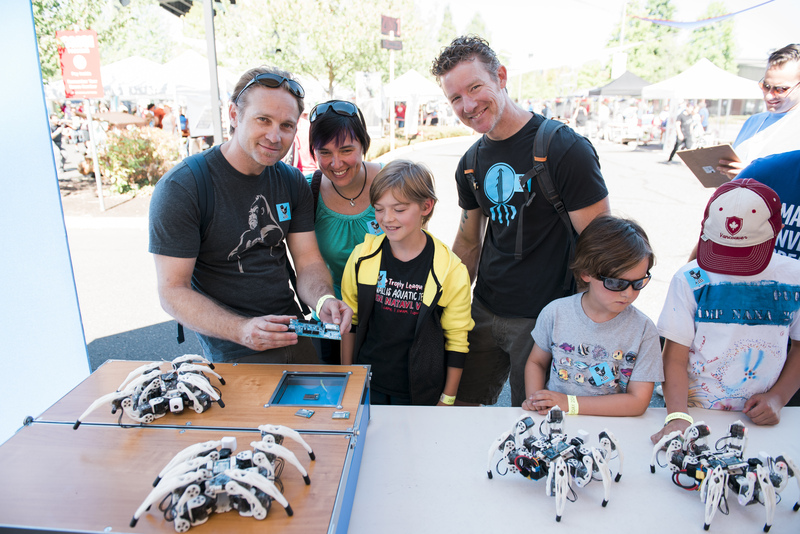 Portland Mini Maker Faire would not be possible without the support of presenting sponsor Intel and supporting sponsors Autodesk, Leatherman, Qorvo, OSH Park, Rockwell Collins, Microsoft, CUI Inc, K12, and Huckleberry Kids Room. For more information on the many participants, visit www.portland.makerfaire.com. The original Maker Faire event was held in San Mateo, CA and in 2016 celebrated its eleventh annual show with some 1,250 makers and 150,000 people in attendance. World Maker Faire New York, the other flagship event, has grown in five years to 900+ makers and 90,000 attendees. Twenty-three other larger scale Maker Faires occur in cities around the world—Detroit, Atlanta, Berlin, Paris, Rome, Tokyo, and Shenzhen to name a few— and over 120 community-driven, independently organized Mini Maker Faires are now being produced around the United States and the world. MAKE is the first magazine devoted entirely to Do-It-Yourself (DIY) technology projects. MAKE unites, inspires, informs, and entertains a growing community of resourceful people who undertake amazing projects in their backyards, basements, and garages. MAKE celebrates your right to tweak, hack, and bend any technology to your will. 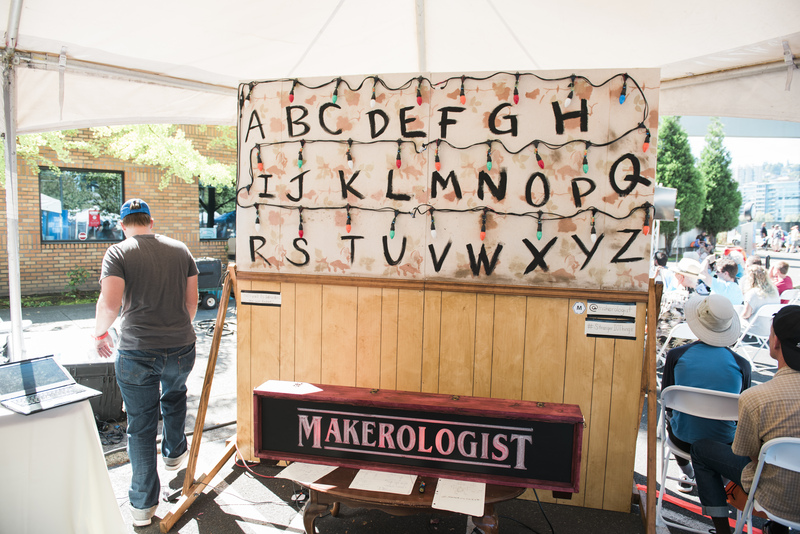 The Portland Mini Maker Faire is independently organized and operated under license from Maker Media, Inc. Founded in 1944, the Oregon Museum of Science and Industry (OMSI) is one of the nation’s leading science museums, a world-class tourist attraction, and an award-winning educational resource for the kid in each of us. OMSI operates the largest museum-based outdoor science education program in the country and provides traveling and community outreach programs that bring science learning opportunities to schools and community organizations in nearly every county in Oregon. OMSI is located at 1945 SE Water Avenue, Portland, OR 97214. For general information, call 503.797.4000 or visit omsi.edu.